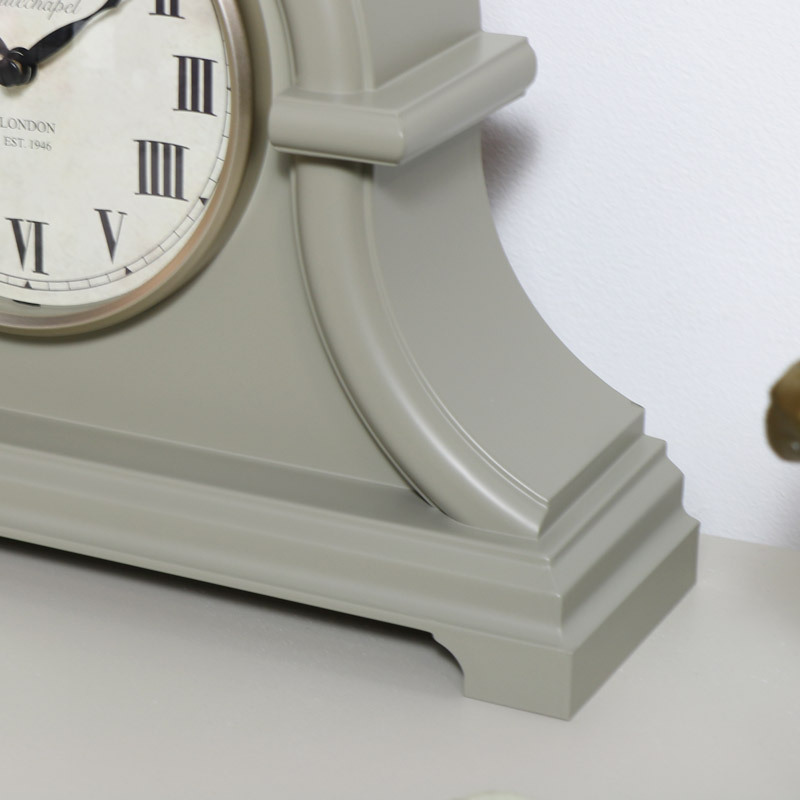 A stylish mantel clock in a traditional design that will make the perfect addition to any mantelpiece or desktop display. Simple and functional design with a round clock face featuring a Roman numeral display and elegant hour and minute hand. A great gift idea for any home or that perfect present for a wedding or birthday. 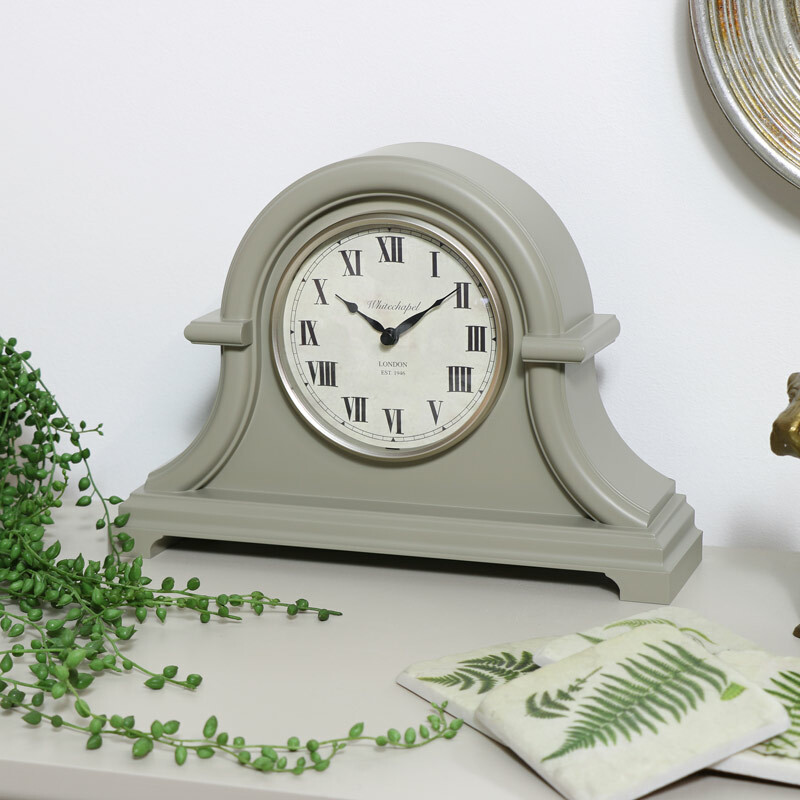 A stylish mantel clock in a traditional design that will make the perfect addition to any mantelpiece or desktop display. Simple and functional design with a round clock face featuring a Roman numeral display and elegant hour and minute hand. A great gift idea for any home or that perfect present for a wedding or birthday. Made with a plastic frame in a grey finish. The back on the clock unclips from the bottom to reveal the clock movement, takes x1 AA battery (not included). We have a dazzling selection of clocks, from the ever popular skeleton style and many other wall mounted and freestanding mantel clocks.